Want to learn the secrets of photo retouching like Bad Girl Boudoir??? Well check it out below...Almost 30 minutes worth of the five crucial tips on retouching to create a beautiful portrait that your client will be dying to purchase!...All while cutting back on huge amounts of your your editing time! 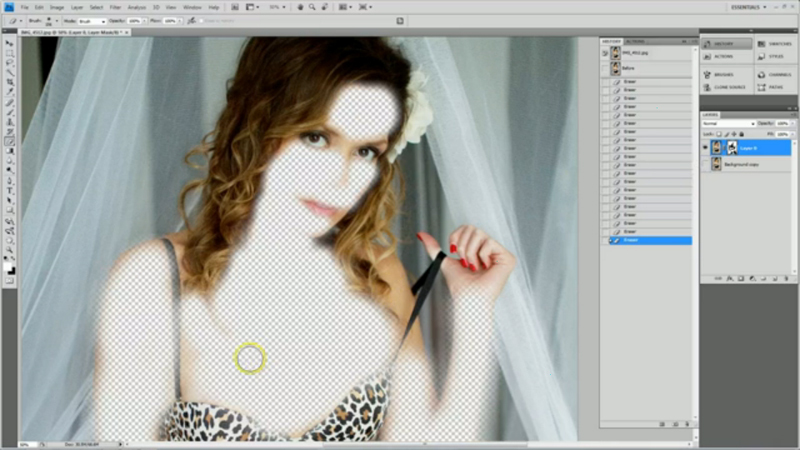 BGB also reveals The Secret Tool that will save you tons of time on your skin retouching! And here's a little Photoshop Trick freebie below. This free BGB tutorial below teaches you how to fake a Lens Flare glow in a Photography Studio environment. Its super simple, but effective, especially if you are trying to work quickly to give your photos an extra hand-crafted touch, and at the same time, cutting back on your overall editing time. Published in Hat Trick Magazine! Hat Trick Magazine is an international online magazine focused on knowledge sharing and professional development for women. I finally had the chance to photograph Amanda of Amanda Hopcraft Makeup Artist! And of course we had to do something fun and creative. Check it out!